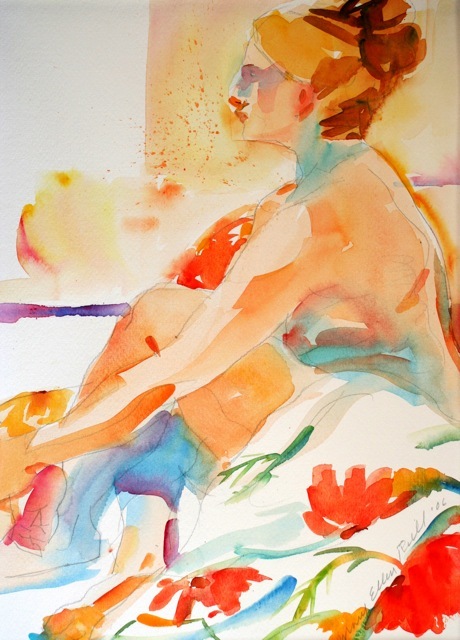 Artist Bio: Landscape and figurative artist Mary Ellen Riell is a recipient of top awards in both watercolor and pastel, most recently Grand Prize in the Cooperstown Art Association’s 79th Annual National Exhibition and Best in Show at the Laffer Gallery’s competitive Annual Upstate Artists Exhibition. 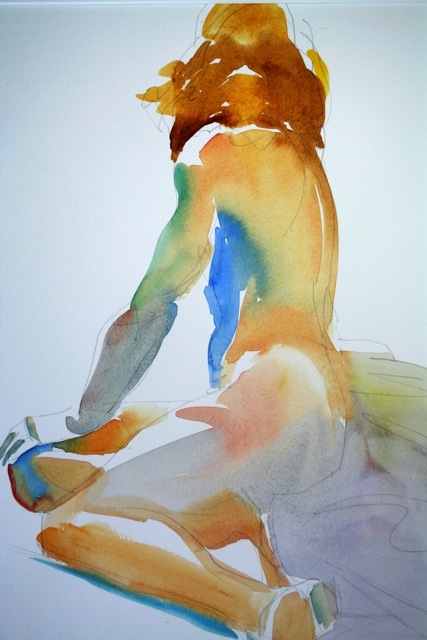 A former professional illustrator and college instructor, she received her art training at the Art Students League in New York City, the Fashion Institute of Technology, and Brooklyn College, where she studied with painter Sam Gelber and sculptor Sylvia Stone, before receiving her masters degree from the College of Saint Rose in Albany, NY. 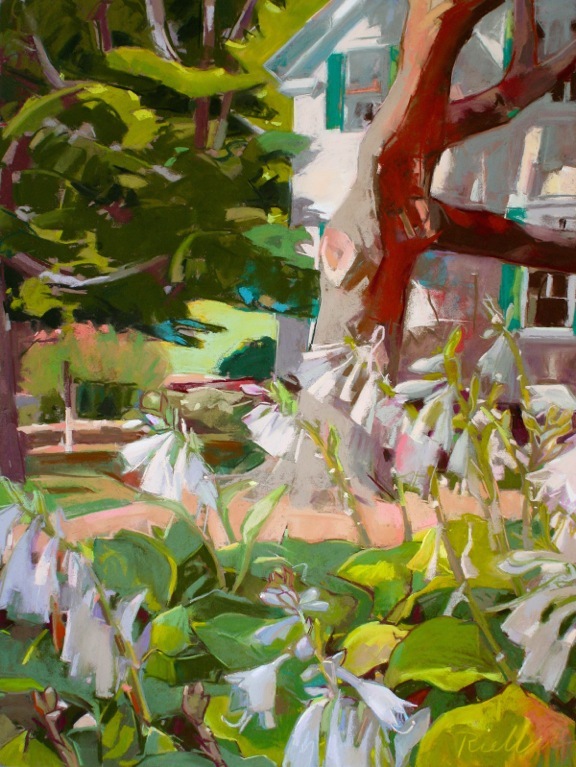 Now a full time artist working in her upstate NY studio, Mary Ellen is a current member and former co-­director of the Oakroom Artists, a long established membership-by-­invitation artists’ association. 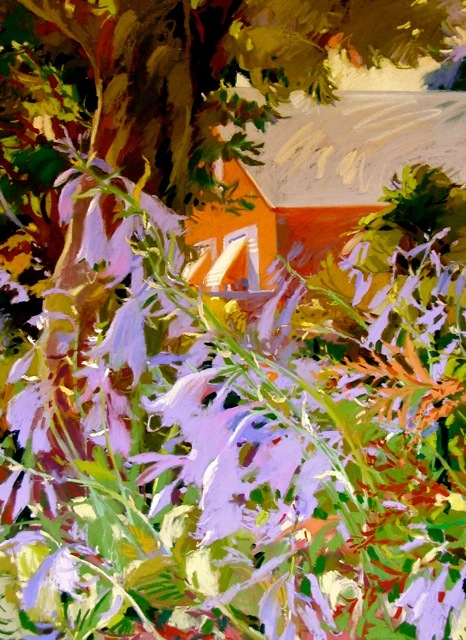 Her work is included in both institutional and private collections. Statement: I am always looking for new ways to see the traditional subjects of garden, sea,landscape and the human figure. Viewing a scene from a variety of vantage points and times of day, often with a camera, is a key first step in finding the presentation that best suits the visual and conceptual ideas I want to convey. 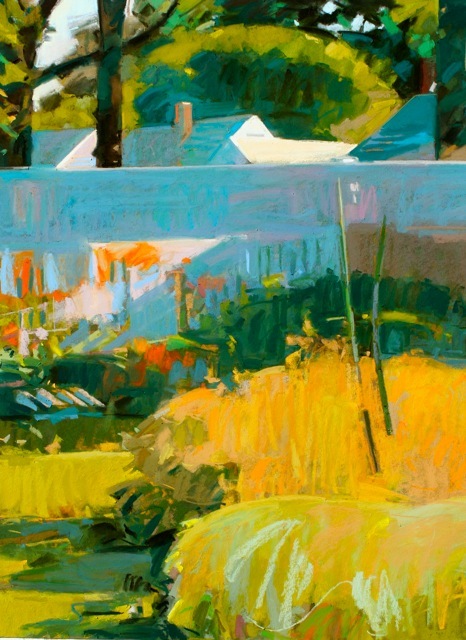 Working en plein air, I enjoy emphasizing the rich color and sensuous grace found in the curves, tilt and sway of plants and trees set against the hardscape elements of houses, barns and sheds. 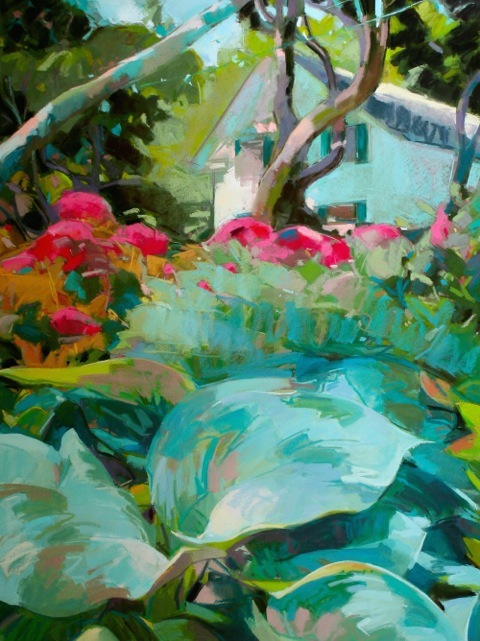 Looking closely, staying focused and going with the flow are essential methods for expressing a subject’s mood and capturing a sense of place. 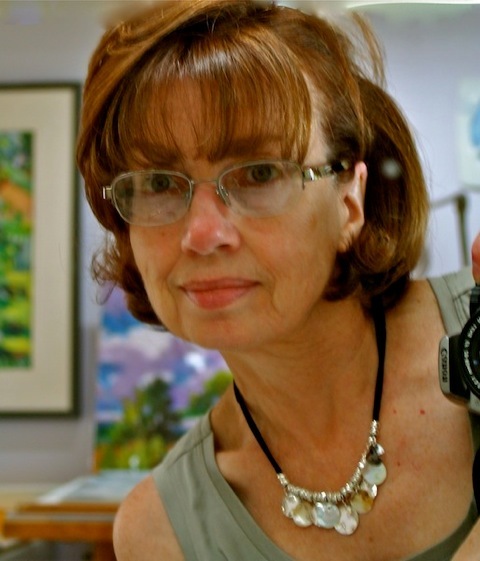 You are currently reading Mary Ellen Riell at oakroom artists.